I’m just back from a week in southern Spain with my family. 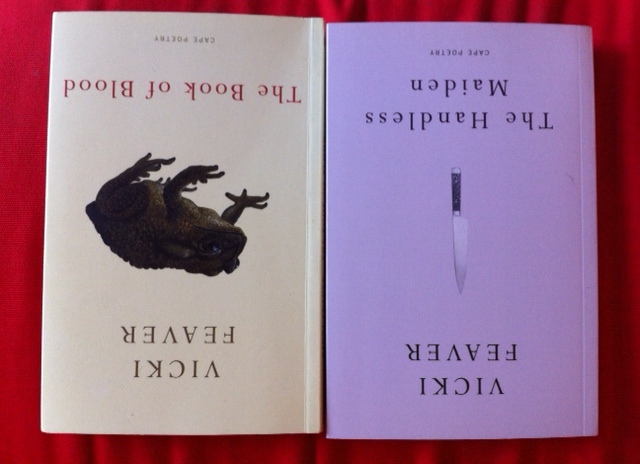 As well as swimwear and sundresses, I packed my notebooks, pens, draft poems and plenty of reading material, including these two books by Vicki Feaver. Vicki was kind enough to send two new poems from her forthcoming collection to my poetry blog, And Other Poems, which you can read here. They really gave me a taste for more of her work. I also downloaded two collections of short stories to my Kindle which I am thoroughly enjoying: David Constantine’s Tea at the Midland and other stories which is reviewed here and Katherine Mansfield’s The Little Governess and other stories. I’m finding it very pleasurable to switch between reading poetry and short stories at the moment, the two literary forms seem to fit beautifully together. 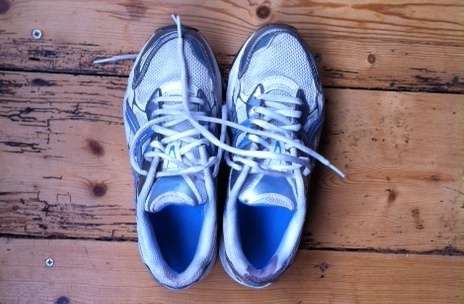 As well as the swimwear and the books, I also packed a pair of sturdy trainers as I felt that a holiday would be an ideal time to increase my daily exercise. Like many people who spend a lot of time at their computer, I’ve become increasingly sedentary and my body is crying out for a little more action (I hope that doesn’t sound too rude). So I was delighted that I was able to step up my daily quota of physical activity AND fit in some reading AND writing while I was away. Andrew and I got up at 7am every day and did a 40 minute walk from our apartment, out past the local lighthouse, along the seafront then back home. At that time of the morning, the sun wasn’t quite high enough to make walking uncomfortable and it was lovely to see so many other walkers out for their daily constitutional. 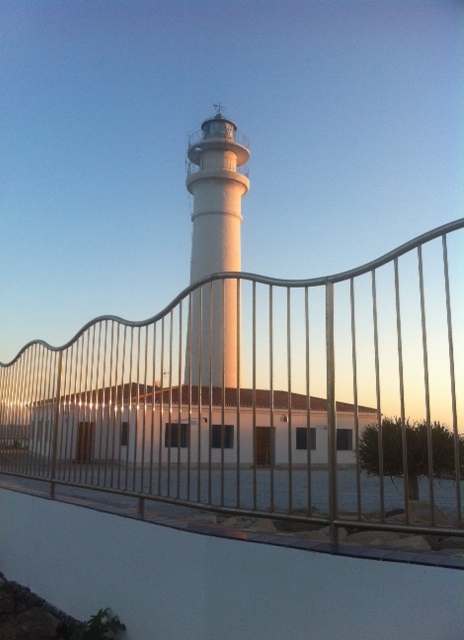 I felt that the lighthouse, el faro, was a good omen for me. tall-lighthouse is going to publish my debut poetry pamphlet later this year and the building was an almost constant reminder to maintain my focus! Once back at the apartment, I set up my ‘office’ on the balcony and put in a good hour’s work while Andrew made fresh coffee. Bliss. Apart from the daily walk and hour or two reading and writing in the morning, I also managed to fit in plenty of swimming and visits to the beach, as well as lunch and dinner at various beachside restaurants. Sometimes, there was a chance in the afternoon to further revise a poem. 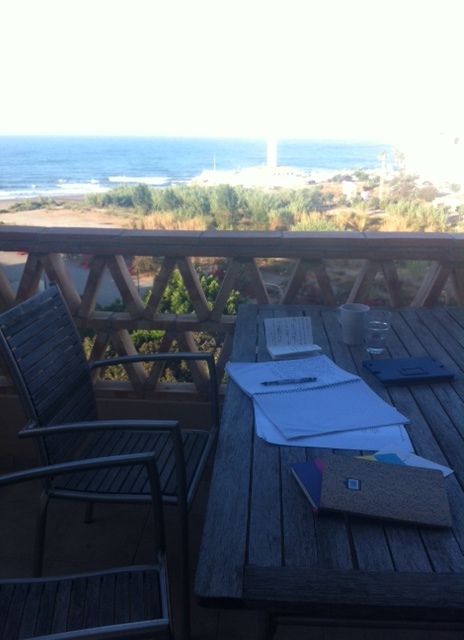 Sprawled out on a beach towel on the balcony, I set to work, the dazzlingly white lighthouse watching over me. Time to revise a poem and top up my tan! There was also time for visit to the Feria in the beautiful city of Malaga which is somewhere I’d like to explore more extensively, rather than visiting briefly by way of its airport. This was the second time I’ve experienced the music and dancing of the annual Ferio de Agosto. The entire city is festooned with paper lanterns and canopies and the streets are vibrantly alive with singing and dancing. People of all ages (and shapes and sizes!) dress up and dance through the streets, it’s incredibly joyful and uplifting. Everywhere you look, there’s live music, singing and dancing on the streets. Troupes of singers and dancers walking through the vibrant streets. So, a really refreshing and relaxing break for me. I loved being away for a week but I’m also very happy to be home, feeling completely revitalised. Long may this feeling last! Welcome back, Josephine. Glad to hear the holiday has bought you back all refreshed and the body batteries are fully charged again. I love a few days away as well, but also always look forward to coming back home, least not, because I can sit at my desk again and get writing. Yes, I do get homesick, so usually for us it is short breaks away rather than two weeks. Thanks for the lovely comment, Hugh 🙂 I’m the same as you, and get restless and homesick even after a few days. I was so glad to be able to keep my writing routine together this time, it made a big difference. We are off to Devon in a few weeks time and the lap top is always the first thing I pack but, for some strange reason, I find it hard to write unless I am sat at my desk in front of my desktop at home. I must admit I didn’t pack my laptop, only notebooks (I always start off by writing in these by hand), plus poems I’ve already written but which needed more work. I did do some fresh writing but not very much. Like you, I need my home laptop and desk to really work hard! Sounds like a lovely, well-balanced and thoroughly deserved break. Welcome back to rainy England!